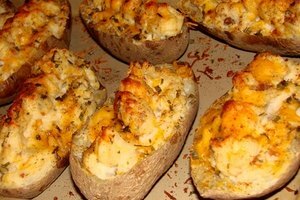 Although potato skins pack a lot of nutrients, you may wish to cook mashed potatoes or include potatoes in a dish in which the skin simply is not needed. Removing the skin from a potato should be a quick and easy task. In order to peel a raw potato quickly, use a standard, swivel vegetable peeler, available at your local grocery or department store. 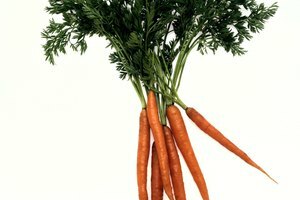 Vegetable peelers are most commonly used for peeling carrots, but can also provide a quick way to remove the skin from any type of potato. 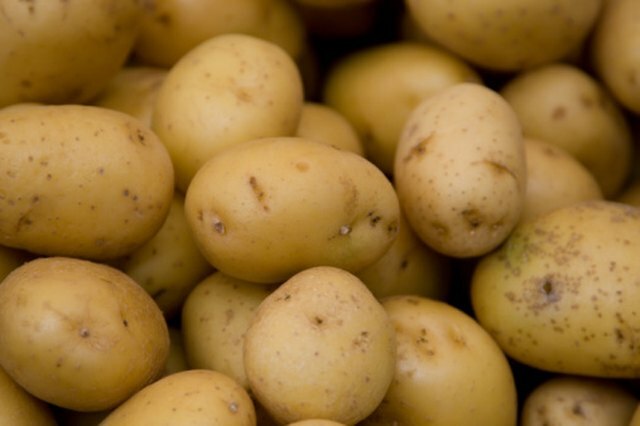 Using a brush, clean your potato by scrubbing under cold water. Remove any potato eyes or dark spots by using the rounded top of the peeler or a small paring knife. 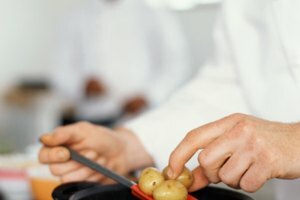 Using a clockwise hand motion, dig into the potato with your utensil. Hold the potato in an angled position. The bottom should touch your cutting board. 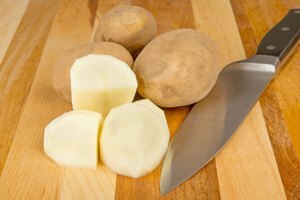 Using a medium-strength, downward motion, run your vegetable peeler against the potato to remove the skin. Be careful to keep your fingers clear of the vegetable peeler, especially when you peel around the ends. 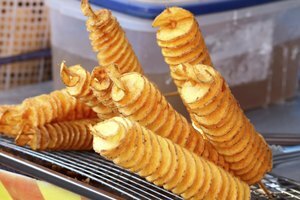 When you start to peel the ends of the potato, rotate the potato to its side and continue to peel in a straight, downward motion. 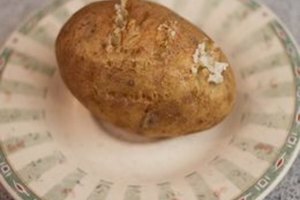 Place your potato in cool water until you are ready to use it.